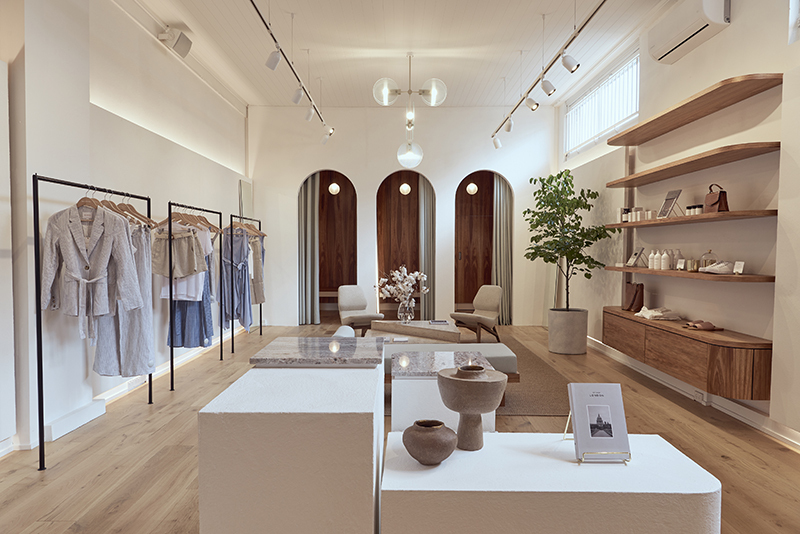 Now open on Chapel Street in Windsor, Melbourne is our flagship boutique, designed by interior architect Chris Aplin along with creative consultant Courtney Price, our first retail concept space takes inspiration from our ethos of high-end simplicity with layered textures, creating a space that lives and breathes natural tones whilst complementing our collections and seasonal palettes. 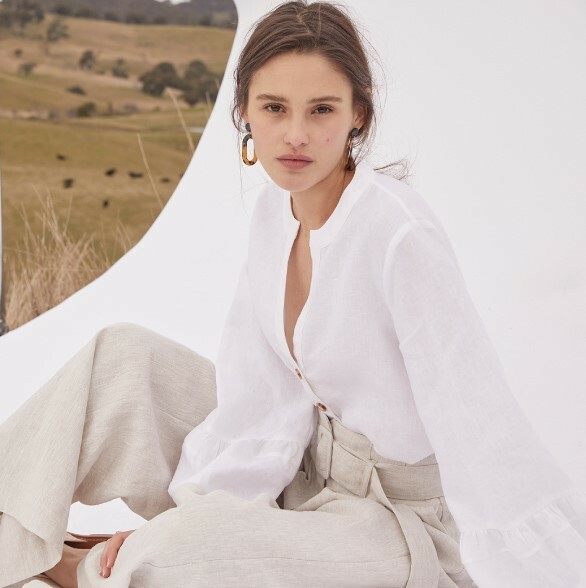 Blended natural marble, sandstone, lime render and rich timbers create an earthy canvas, with luxurious natural materials that, like our garments, are delicate yet timeless. Terracotta tiles reclaimed from the roofs of abandoned historic buildings in Eastern Europe add authenticity and character to the fit-out. Mirroring our home-grown ideology, the final touches are an emphasis on local designers: Attalos pendant lights created by local industrial designer Coco Reynold are a feature, while Ross Gardam’s Melbourne-made Nebulae chandelier is the centrepiece of the space. 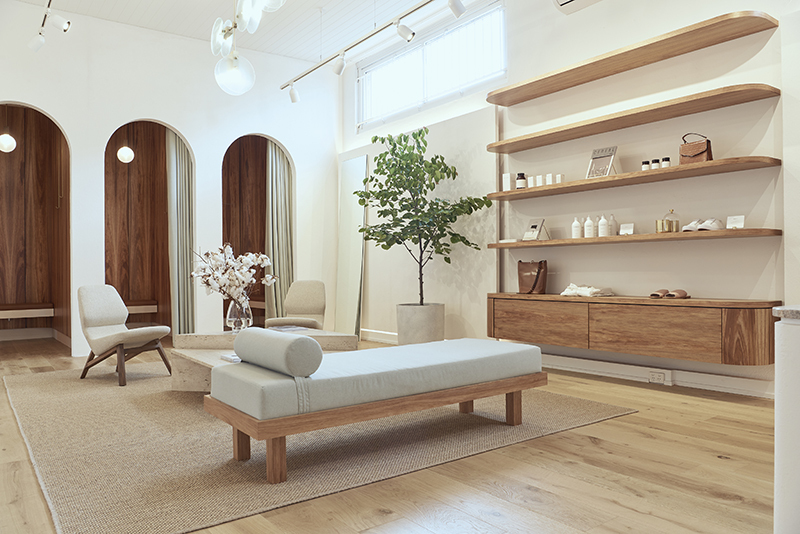 Located in a cultural hub on Chapel Street in Windsor, the store also carries a curated selection of elevated lifestyle brands that resonate with our philosophy, including BEAR Ltd, Velvet Canyon Eyewear, jewellery from Brie Leon, Flash and Machete, footwear by James Smith and Spring Court as well as travel guides from Cereal Magazine. 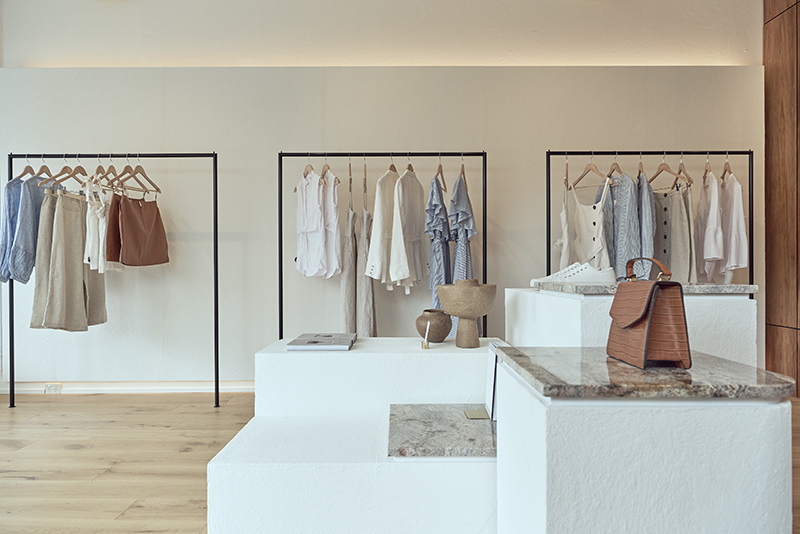 Here, our brand becomes a whole experience, a place to relax and where you can take time to explore our collections, a space where we are surrounded by labels we personally love and feel complement our own so beautifully. Chris and his team, along with Courtney’s vision have created a stunning setting to showcase our collections. We look forward to seeing you in store! We are currently seeking casual retail assistants for our boutique, please send CV & Cover Letter to Windsor@elkacollective.com. Casual hours on weekday and weekends available, previous boutique retail experience preferred.